A new nightlife hotspot for Bogota's historic center? Bogota wants to convert its historical center into the culinary hub of Colombia’s capital, but is opposed by locals who fear an increase in disturbances. 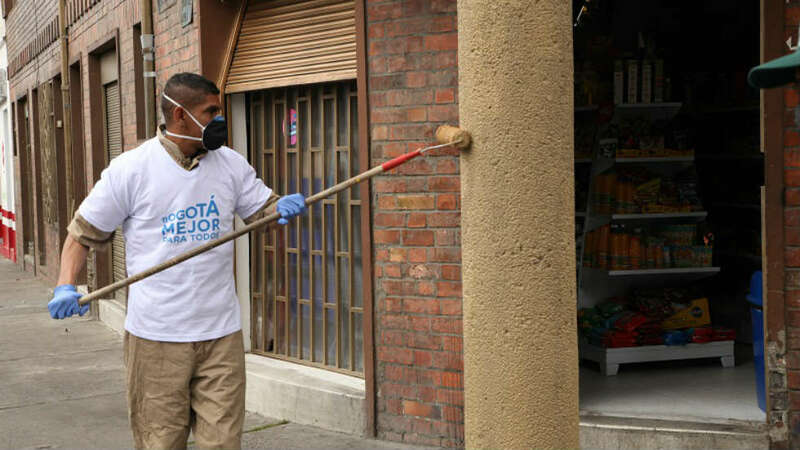 The plans to turn the area around the National Museum into a commercial area, but the locals fear that the arrival of bars and clubs could disturb the peace in this relatively quiet corner of Bogota’s downtown area. The area designated for development by the city is located between Carrera 5 and 7, and Calle 26 to 34, which up to now has been designated a residential area. The district administration has invested $400,000 in upgrading the neighborhood and insists it only seeks to stimulate day-time commercial activity in the area. This is hardly in line with the district’s territorial plan, in which the area is designated as a residential area. What we are doing is partially pedestrianizing the sector. We raised the street to the level of the sidewalk and put in adobe bricks, because we will put tables in the street. We want it to be downtown’s hotspot. The district’s investments in commerce has alerted locals, who fear that the district mayor could change the designation of the area and grant permission to the illegal bars and clubs that have popped up in Santa Fe. Bars and nightclubs, camouflaged in spaces authorized as restaurants, have already appeared in violation of Territorial Planning. It’s something that needs to be controlled. The residents of the largely middle class neighborhood want the district government to tackle the issues that have come with the slow commercialization of their neighborhood, like street vendors and noise. According to district Mayor Gustavo Niño, this type of resistance is normal and not representative of the entire neighborhood. When you carry out a project, some are happy and some are not. Neighbors are annoyed by the noise, but here we will not have parties as in the Zone T, but a gastronomic zone.